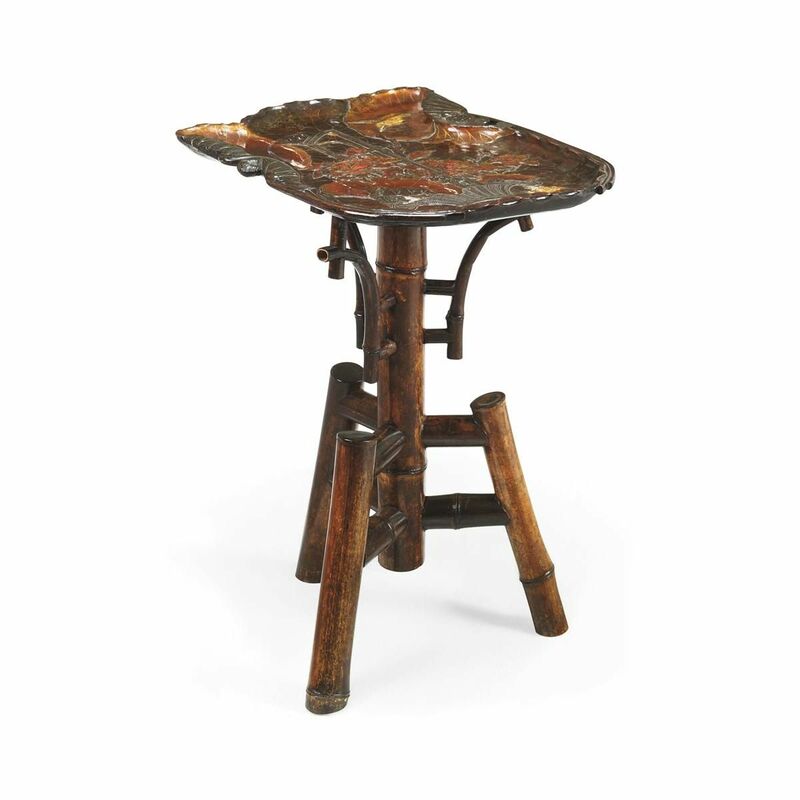 This unusual antique occasional table was crafted in the late 19th Century of the Japanese Meiji period, and features a finely detailed tray top. The occasional table is crafted in lacquered wood, and features a beautiful tray-form top which is shaped as a leaf. The top is decorated with wonderfully contrasting details of flowers and leaves that are decoratively carved into the wooden surface and inlaid with bone details. The top has a subtle lip around its edge, meaning it is both a practical and a decorative piece. It is supported on a wooden stand of tri-pod form, comprising a central column with three extending legs. Condition: There are some losses to the top, which can be professionally restored on request.